Purchase tickets online to Bouchaine Vineyards on CellarPass. Bring your friends. Bring your dog. Listen to the birds in our garden and enjoy some of our rare, special-production wines. Family-owned, with over 100 acres of vines, Bouchaine offers small production wines not available in the regular marketplace around the country. The winery tastings frequently showcase different clones of pinot noir and chardonnay, bottled separately for comparison. Birdsong and vineyard views will welcome you during your tasting experience. 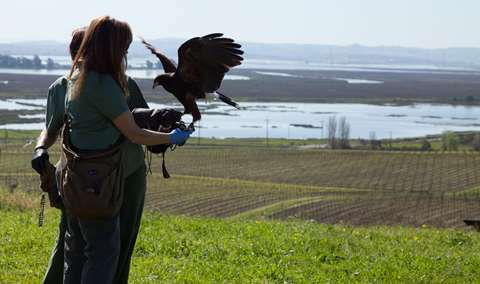 Falconry, chocolate cooking classses, star gazing, biking in the vineyard, chamber music, vineyard tours, and barrel tastings all rotate through the winery's monthly special events.